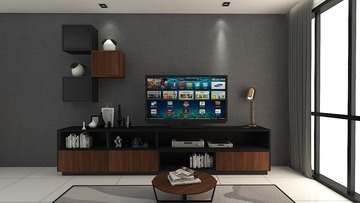 Stylish TV Console in melamine, comes with one shelf unit with compartments. 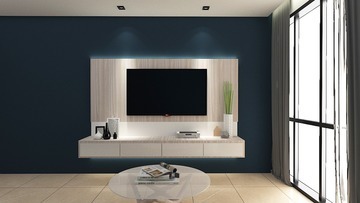 Stylish TV Console in melamine. 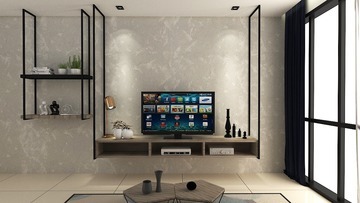 Comes with one shelf unit with compartments. 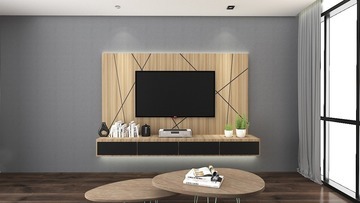 Note: Design includes only the carpentry work, does not include the tv and decoration. Visuals are the designer’s impression only. Actual product may vary.